Everyday 2,500 kids ages 12 to 17 abuse a pain reliever for the first time.1 Prescription medications are fast becoming the new “party” drugs for many teenagers. 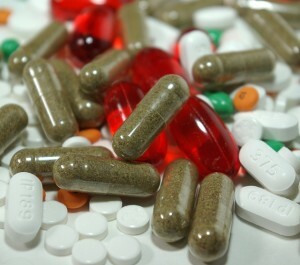 The new trend among youth is known as “pharming” or, kids using prescription drugs for recreational use. Many parents are not aware that their own medicine cabinets are potential sources of these drugs for teenage abuse. This practice is life-threatening and a kid can die doing it for the first time. 4.5 million American kids have reported that they’ve abused prescription drugs. 2.1 million American kids have intentionally abused cough syrup. Half of teens do not see a great risk in abusing prescription (Rx) or over-the-counter (OTC) drugs. Teens believe that abuse of Rx and OTC medicines is safer than street drugs. Over half of teens agree prescription drugs are easier to get than illegal drugs. The primary sources being their own home, a friend’s house or the Internet. 1 in 3 teens report having a close friend who abuses Rx pain relievers to get high. 1 in 4 teens report having a close friend who abuses cough medicine to get high. Only 31% of teens “learn a lot about the risk of drugs” from their parents. 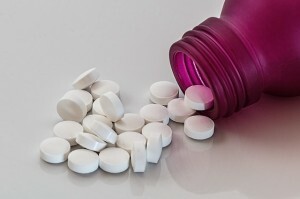 When prescription drugs are taken as directed, they are usually safe. It requires a trained health care clinician to determine if the benefits of taking the medication outweigh any risks for side effects. But when abused and taken in different amounts or for different purposes than as prescribed, they affect the brain in ways very similar to illicit drugs. When abused, they can also be addictive and put the person at risk for other harmful health effects, such as overdose (especially when taken along with other drugs or alcohol). And, abusing prescription drugs is illegal—and that includes sharing prescriptions with family members or friends. Kids who learn about drug risks from their parents or other professionals are less likely to use drugs than kids who haven’t. Education and awareness are key to preventing the abuse of prescription medications by teenagers.